WHY have I never made banana bread before?! 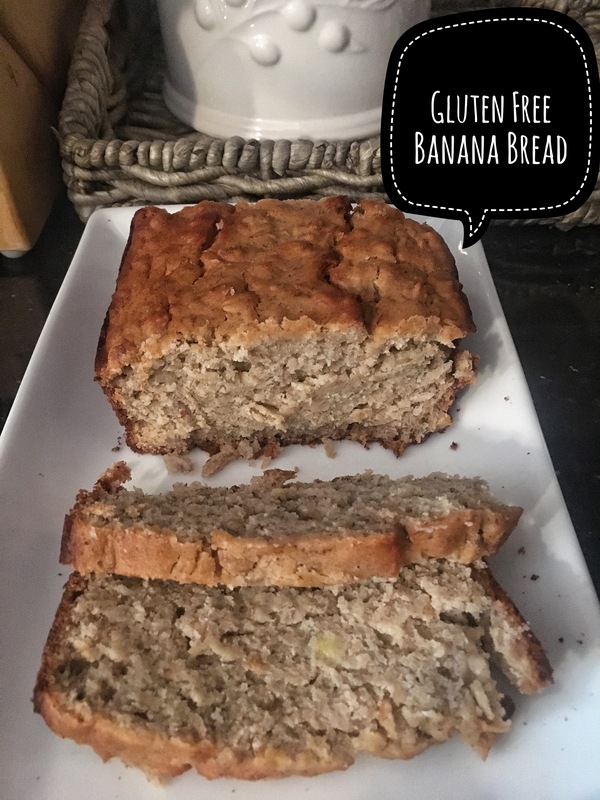 After baking my first-ever banana bread, I am forever going to buy superfluous bananas intended to let them turn overripe so I have an excuse to bake this chewy, hearty treat! The recipe below is gluten-free, dairy-free, soy-free and easily adaptable to become vegan! As if that’s not awesome enough, it contains a list of ingredients you most likely have on hand at home (vanilla, oats, baking powder, etc.). The only caveat I have is to be patient once you take it out of the oven. Am I the only one who has severely burnt the insides of my mouth attempting to eat straight out of the oven chocolate chip cookies?! Well don’t do this here. This bread needs to sit on the counter to cool before you cut it, otherwise you’ll end up with a clumpy, crumbly mess. Once you slice this beautiful loaf, top it with a teaspoon of almond buttah and fresh berries. YOU’RE WELCOME. Preheat oven to 350 degrees F and spray a 9×5-inch loaf pan with nonstick spray. Mash banana in a large bowl. Add all ingredients through almond milk and whisk to combine. Lastly add almond meal, gluten free flour blend and oats and stir. Bake for 1 hour. You’ll know it’s ready when it feels firm to the touch and is crackly/golden brown on top. Let cool completely before cutting. Trust me. Slice and top with berries, almond butter, butter or whatever your heart desires. Store leftovers in a covered container for a few days or slice and freeze for later use. *Recipe adapted from Minimalist Baker. Bake this and report back! I’d love to see photos and hear what you thought! Previous Post Affordable Fall Fashion Find!